Astronomers have been analysing light signals from 2.5 million stars observed by the Sloan Digital Sky Survey, and have detected strange ‘strobe-like’ bursts coming from not one, but 234 stars. The pair went so far as to suggest that these light pulses “have exactly the shape of an Extra-Terrestrial Intelligence signal”, and now Stephen Hawking’s alien-hunting mission is on the case to confirm or disprove these claims. Let’s be clear right off the bat – the claim by astronomers Ermanno Borra and Eric Trottier from Laval University in Canada that 234 extra-terrestrial civilisations might be beaming a coordinated light signal towards Earth based on anomalies in the data is extremely premature. It’s also pretty irresponsible to be throwing the possibility of “Aliens!” around, given the fact that the paper has yet to be formally peer-reviewed, and replication of the results has not been attempted by an independent research team. It’s also worth noting that researchers from the Breakthrough Listen project – funded by Stephen Hawking and Russian billionaire Yuri Milner, and run by the SETI (Search for Extraterrestrial Intelligence) Research Centre at the University of California Berkeley – say aliens are about the last thing they expect to find when they investigate these claims. But when the Universe – or let’s be honest, human error – serves up something intriguing, it’s almost always worth a second look. “The one in 10,000 objects with unusual spectra seen by Borra and Trottier are certainly worthy of additional study,” the SETI Research Centre announced in a statement last week. So let’s run through what Borra and Trottier have actually found. Things start off a little wobbly, because as Shannon Hall explains for New Scientist, Borra had hypothesised back in 2012 that if an extraterrestrial civilisation wanted to contact us, it would make sense to beam laser pulses at us that look unnatural enough to warrant investigation. 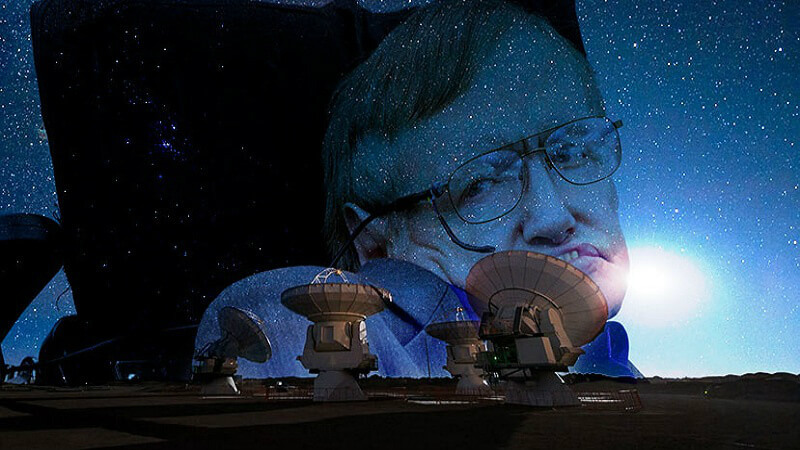 He said the kind of energy required to blast such a signal towards Earth from elsewhere in the galaxy “is not crazy”, so he teamed up with Trottier to pore over the 2.5 million stars recorded by the Sloan Digital Sky Survey to see if any of them have produced such a signal. And there’s our first warning signal – a good scientist knows not to approach data with a preferred result or preconceived notion in mind, because that can introduce bias, and the scientist could subconsciously (or otherwise) ignore information that goes against that. The pair reports that they detected the exact type of signal they had been looking for in some 234 stars. “We find that the detected signals have exactly the shape of an ETI (Extra-Terrestrial Intelligence) signal predicted in the previous publication and are therefore in agreement with this hypothesis,” they conclude in a paper on pre-print website, arXiv.org. As Hall explains for New Scientist, if you take the aliens out of it, what they found was that the overwhelming majority of the 2.5 million stars are in the same spectral class as our Sun, but 234 of them are beaming pulses of the same periodicity – roughly 1.65 picoseconds – towards Earth. Could it be human or software error in data calibration or analysis? Absolutely, and the pair’s conclusions have – not surprisingly – been met with a whole lot of criticism in the scientific community. “There is perhaps no bolder claim that one could make in observational astrophysics than the discovery of intelligent life beyond the Earth,” director of the SETI Research Centre at Berkeley, Andrew Siemion, told Hall. That’s why the SETI Research Centre and the Breakthrough Listen project have decided to get involved – they want to know what’s really going on here. They explain that we already have internationally agreed-upon protocols if you want to find evidence of advanced life beyond Earth, which include independent verification using two or more telescopes, and “careful work” to determine false positive rates and rule out all other explanations. They’ve also established a 0 to 10 scale for quantifying detections of phenomena that may indicate the existence of advanced life beyond the Earth called the Rio Scale. They say the Borra-Trottier result is currently a 0 or 1 (“None/Insignificant”) on this scale, but they’re still determined to get to the bottom of things. “The Berkeley SETI Research Centre team has added several stars from the Borra and Trottier sample to the Breakthrough Listen observing queue on the 2.4-metre Automated Planet Finder (APF) optical telescope,” they announced last week. We’ll have to wait and see what they find, but let’s all be glad that if someone wants to throw claims of aliens around, they’d better be ready to answer to the SETI researchers first.